this list will show you the people who are calling the shots in the country, people whose influence is too essential to the country, people who their actions and influence can have either positive or negative effect(s)on the country. The no.1 personality on this list is The Most Powerful Person In Nigeria 2017. Obasanjo can be said to be unknown to nobody, the former president who ruled Nigeria for 8years is sure still influential in the country most especially among the Nigerian governing bodies. The ex president who has a lot of connection and relationship with almost any governing body all over Nigeria is very well a powerful personality. He’s been said to have participated in President Goodluck’s defeat in the 2015 elections and also contributed to president Buhari’s victory with his political influence. As of 2015, its been revealed Obasanjo has a deep relationship with the incumbent president Buhari as they’ve together many times sort out issues privately and publicly. Yakubu Dogara is a Nigerian honorable who became Speaker of the House of Representatives of Nigeria in 2015. As the speaker of House of representatives he’s got some power in the law making section of Nigeria and power in the political world. The speaker is said to be close to the president which makes his personality more powerful. Abba Kyari is the Chief of Staff to the President of Nigeria, Muhammadu Buhari and was appointed to the position on August 27, 2015. This man has been nothing but controversial this year, as the chief of staff to the president of Nigeria, he carries out orders given by the president. News reports even have it that Abba Kyari gives orders on behalf of the president without the knowledge of the president. Mr. Kyari has also been in the country ever since the whole health issues happened with the president representing the president’s interest in the Aso-Rock. Some even claims he leads the so called “Cabal” directing the government in buhari’s absence. Leader of the largest Pentecostal church in Nigeria (Redeemed Christian Church of God) and former mathematics lecturer, Adeboye is on this list because as innocuous as he might appear, the soft-spoken preacher has under his influence millions of Nigerians who either attend his church or depend on his position on important matters as guides to make crucial decisions. Available statistics show that Pastor Adeboye has about 12 million members in the around 14, 000 RCCG branches scattered across the length and breadth of Nigeria. Further statistics gathered from Newsweek magazine shows that about 5million of these population are adults who are well over voting age, not youths. This implies that Adeboye has a hold over 8.4% of about 60 million Nigerians who are registered to vote and vote. In 2007, when the total voter population was around 72million, Adeboye, all things being equal, had influence over about 7.1% of the votes cast. He has always been relevant. 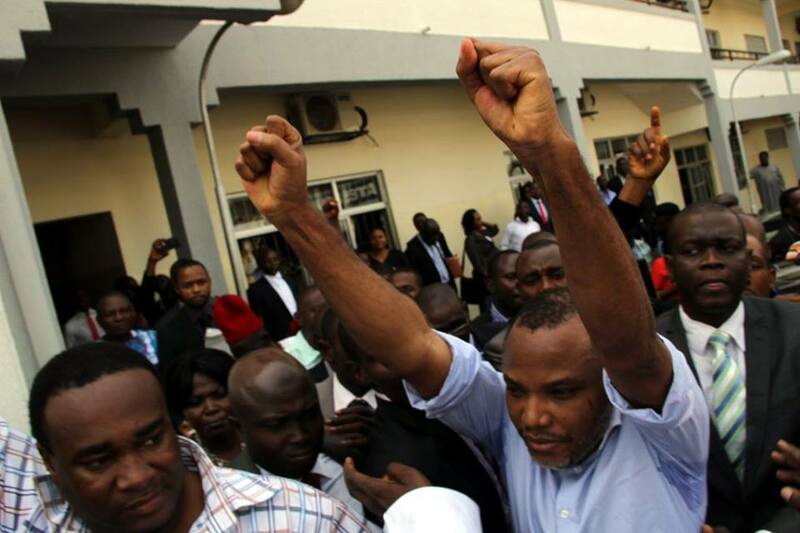 Kanu is actually Nigeria’s number one concern at the moment as his Indigenous People of Biafra (IPOB) and other similar groups look to secede from the union called Nigeria. Kanu is on this list because of how he was able to raise the issue of the ‘Igbo question’, single handed and bring it to the notice of not just the Nigerian government but also the world. He so influenced the situation that after about fifty years, the Biafra issue was once again debated on the floor of the British parliament. While his agitations and desires may be controversial or even artificial, his influence on the movement is nothing short of astounding, moving millions of people in the South East to the point of protests often at the expense of their own lives. Major General Abayomi is the chief of defense staff of the federal republic of Nigeria as many may not know him. The Chief of Defence Staff is the highest ranking military officer of the Nigerian Armed Forces. It is occupied by the most senior commissioned officer appointed by the President, Commander-in-Chief of the Armed Forces of Nigeria. The position was established for the first time under Nigeria’s 1979 constitution. This man has the whole Nigeria military, under his command. 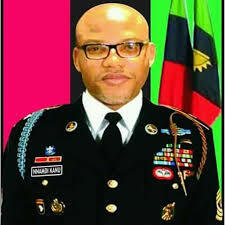 If Nigeria were to be in the military regime period he might as well be the head of states. Tinubu the National leader lets say “CEO” of party in Government (APC). Which means his power goes across all political governors,senators,reps and more who got elected through his party.His influence extends across all states and in Nigeria. Tinubu is sure and well close to the president and one of the major people behind the president’s victory in the 2015 elections. Report has it; Tinubu requests for whatever he wants from all apc governors,senators,reps and more. Which indirectly puts him in a powerful position in Nigeria. Dangote known by many is a Nigerian billionaire’ who owns the Dangote Group, which has interests in commodities, known to be Nigeria and Africa’s richest personality. Government with his money and status. decrease the price of cement. Dangote’s influence in the country is a sure a great one. Ranked in this same position in the last 2years, Bukola Saraki as most of us know is the present senate president of Nigeria, the senator who got elected into power 2years ago is the second most powerful person in Nigeria for this year. As The senate president he has power over a lot things most especially when it comes to making the law. The senate president is the no.3rd citizen of the country which means in any case the president and the vice president is missing he would be the acting president of the country. 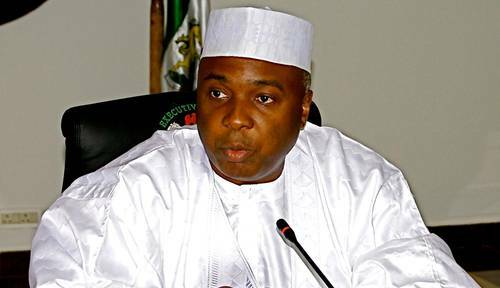 Saraki’s influence in the political world sure can’t be left unnoticed as he has a lot of senate members backing him in the house and influential political personalities behind him. We can conclude Saraki is someway somehow close to the president. With the influence he’s made this year from passing good bills to pushing the made in Nigeria movement and more we’ve ranked him as the second most powerful person in Nigeria 2017. Oluyemi Oluleke Osinbajo is the Vice President of Nigeria, in office since May 29, 2015. He is also a Senior Advocate of Nigeria, Professor of Law and until his inauguration as Vice President. We all know the Vice President is the next in post to the president which makes him a pretty high profile and powerful personality too. He was ranked by TIN Magazine as the 4th most powerful in the country in year 2015, it looks like the vice president has done nothing since then than show the influence he has in the country. He is currently the acting president of the republic in the absence of the president. Just like the president himself, Osinbajo as the acting president of Nigeria has the power to do many special things like grant immunity to a convict and more. Lets not forget the VP has actually presided over Nigeria than the president himself this year. Following our researches nobody control’s Mr Acting President. He sure has been the most powerful man in the country this year. Therefore Vice President Yemi Osinbajo is the most powerful person in Nigeria 2017. NOTE: THIS ARTICLE SHOULD NOT BE COPIED TO ANOTHER WE PAGE WITHOUT PUTTING A LINK BACK TO US.